Airlines have stricter rules when transporting or traveling with dog breeds classified as fighting or aggressive. Your furry friend may fall into one of these breeds or mixes of breeds and may be the calmest dog ever but rules are rules when it comes to pet travel. IATA LAR CR-82 READS: the container or crate must be constructed of wood, metal, synthetic materials, weld mesh or wire grate/mesh. Additional design principles regarding frame, sides, floor, roof and doors also apply. No portion of the crate may be plastic. The crate door must be made of heavy wire grate or mesh, metal or reinforced wood and should have a secure means of fastening that cannot be opened accidentally. These Collapsible aluminum Dog crates fit the bill. American made of high quality aluminum. ICC's heavy-duty aluminum dog crate conveniently collapses to less than eight inches tall. Crate can be set up or taken down in seconds. 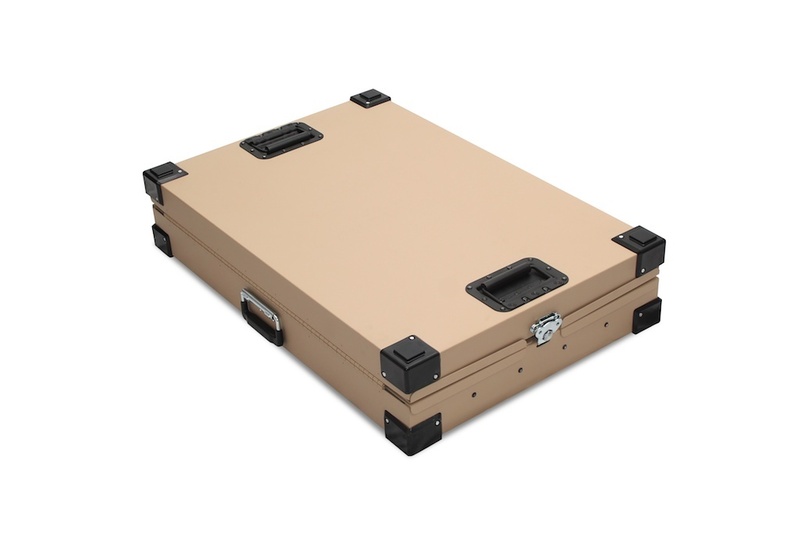 Constructed of sturdy .063 aluminum makes this crate light as well as corrosion resistant. 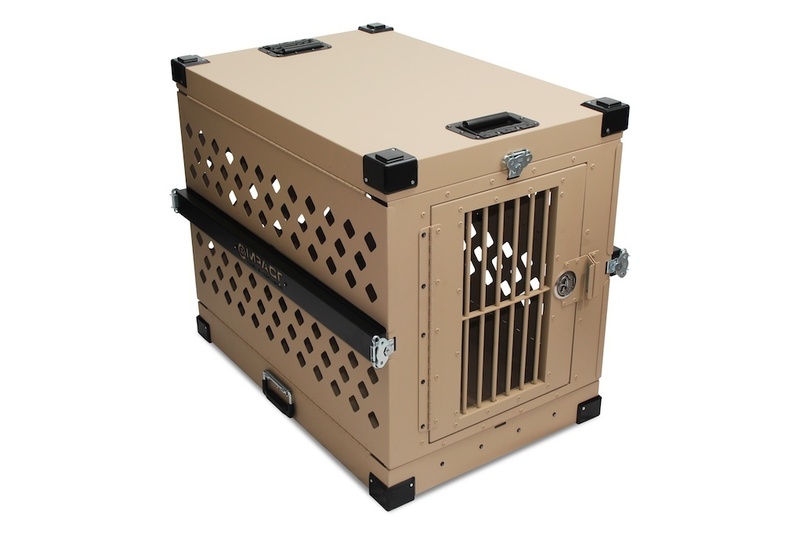 Crate comes in a military desert tan or gun metal grey powder coated finish that helps reflect heat away from your animal.